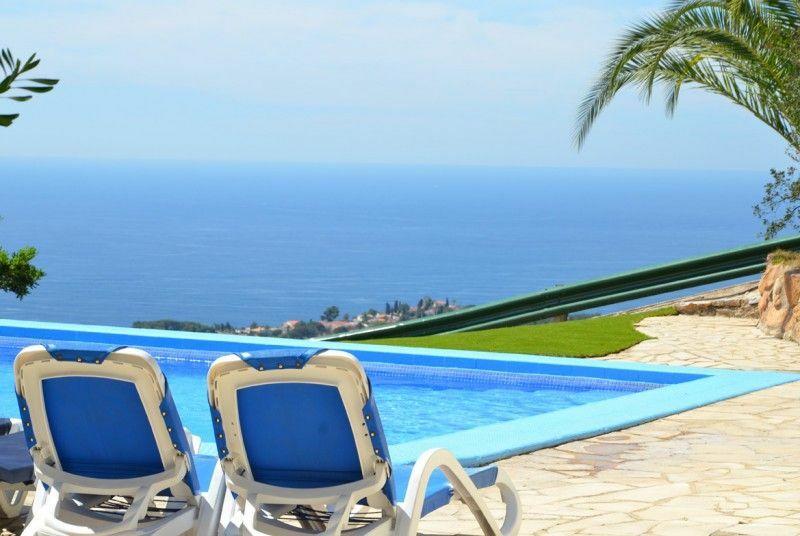 Club Villamar - Holiday villa in Lloret de Mar with private pool, tennis court and seaview. Wonderful villa. The view from the top of the hill where is located the Villa is amazing. Villa very well equiped and really high standing. Very communication from Villamar all along the booking process and also check in and check out during our holidays. der Service super ,nur man sollte englisch sprechen. wir hatten nur ein wenig Pech mit dem Wetter ,es ging immer ein kalter Wind . im Sommer bestimmt super . Imagine: in the morning, you shop till you drop. For lunch, you taste a traditional Catalan dish, followed by a lazy moment on the beach. And another day, you explore the Triangle of Dal�� or you have a trip to a big city like Gerona or Barcelona. Near your holiday home (4 km from it), there�����s a beach called Canyelles. Most of the people who go to this nice pebble beach are families or other people who want to enjoy a sunny day in a quiet environment. You may be curious to discover other places besides Lloret de Mar. Congratulations, because if you stay in Villa Rosanna, you���������������������������������������������������������������������������ll easily visit small villages at the Costa Brava, like: Blanes, Tossa de Mar, Playa de Aro or Roses; as well as larger cities, like Gerona or Barcelona. This are �������must have been places” and you really should visit at least one of them. For sure, you have loads of energy to shop! In the centre of Lloret de Mar, you�����ll find many small streets with shops where you can buy souvenirs. But you'll also find very nice boutiques where you can buy clothes, shoes, etc. If you're looking for a shopping mall, we recommend l'Espai Giron���������s in Gerona. It's filled with the most international shops and there are enough of them to renew your entire closet. L'Espai Gironès is the perfect place for an afternoon shopping! Because we�����������d like to guide you through the most ultimate holiday experiences, here we�����������re going to talk about the typical Catalan cuisine. Our advice is to go to the surroundings of Lloret de Mar, where you'll get introduced to the Catalan cuisine in high quality restaurants in a breathtaking countryside. But maybe you��re feeling like having some traditional food of your own country, don’t you? If so, in the centre, you'll have all kind of international restaurants, where you���������ll be able to enjoy a delicious dish like at home.